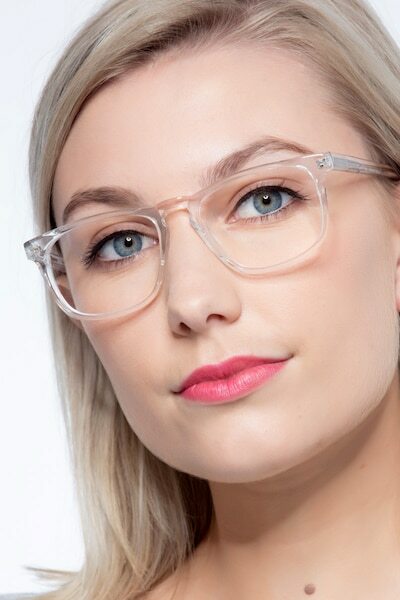 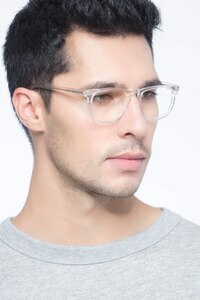 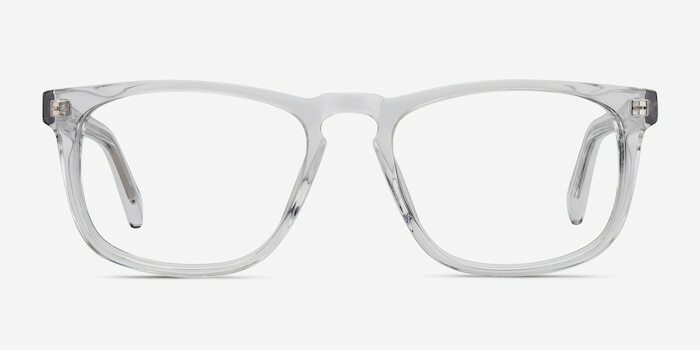 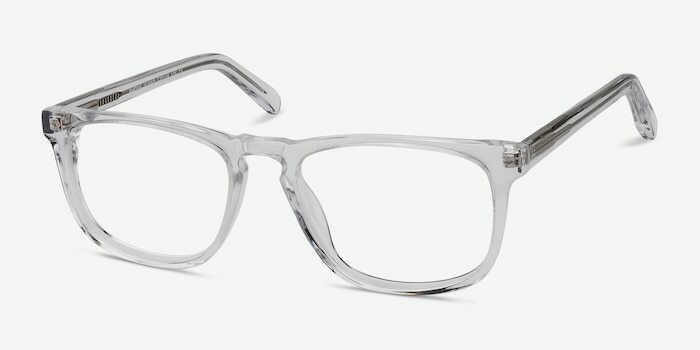 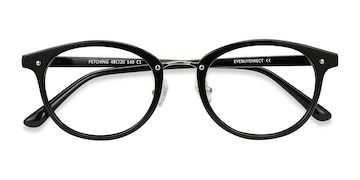 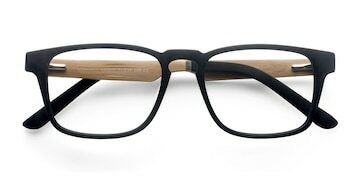 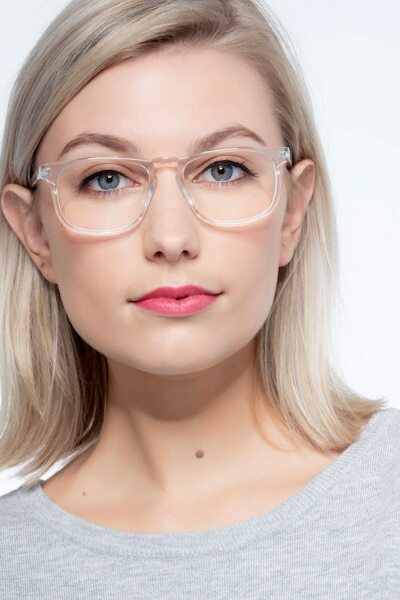 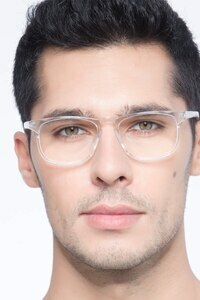 Make a bold statement with these clear eyeglasses. 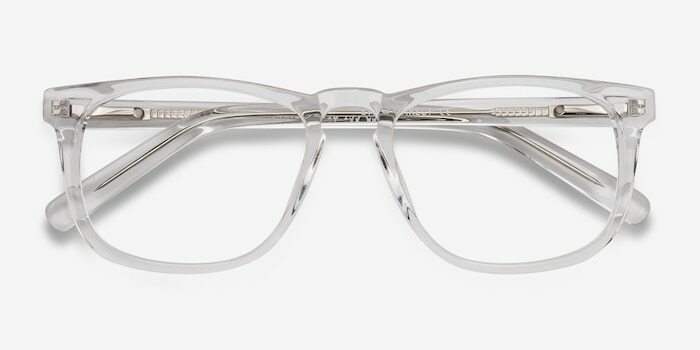 The classic wayfarer style is updated in a modern, transparent design. 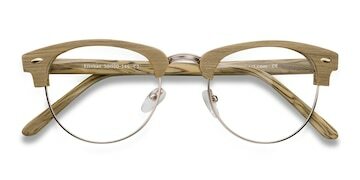 A keyhole nose bridge adds a trendy detail. 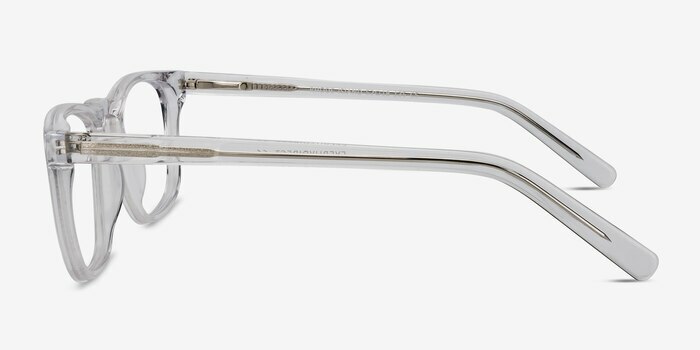 For added comfort, the arms are attached with spring hinges.